I was here a year ago. I decided to take myself to Italy for Christmas and New Years. 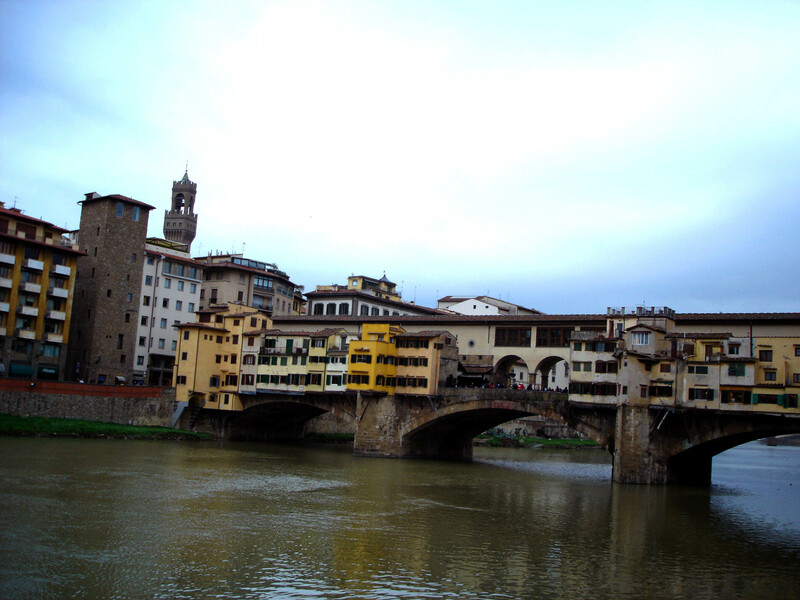 The Ponte Vecchio was on my Italian bucket list. I got lost in Florence looking for it and stumbled upon it suddenly in my wanderings. I approached it from this very angle. I crossed and crossed back. “Enough”, I said to myself with a smile. Then I wandered back between the buildings to get happily lost again.